Our 6th HarroComp took place on Saturday 12th December. A big thanks to everyone who came down and competed! 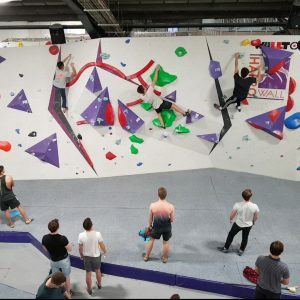 The fun comp proved ever popular with loads of competitors enjoying the bubble gum holds set by our in-house team. Our adventurous Cafe team got creative with a spiced Moroccan Vegetable Tagine served with flatbread. Winners walked away with Organic Climbing backpacks, Friction Labs chalk and Climb On! Senior Male category was won by Elias Bignold, second place taken by Fazal Farooq and Ross Smith coming in third. Senior Female category was dominated by Imi Bagall-Smith, Rachel Cassidy coming in second and Suzie Zitter taking third. Junior Male category saw Johnny Gibbs taking the win, Hugo Heffer in second and Theo Goodman took third place. Junior Female had Paola Neal Fagan coming in first, Willow Petrobelli in second and Robyn Gupta in third. For full results of the Main and Fun Comps check out the links below! A huge thanks to everyone who came. January has been BIG for us – we launched our newest wall to our group, CroyWall. We also have launched a massive brand new style of competition: The League. The League: Kicking off on the 4th February, The League will consist of 3 rounds (3 weeks to complete each round), semi finals & finals over the course of 4 months. The winners will win full climbing sponsorship. This will consist of Evolv shoe sponsorship, Prana clothing, Metolius chalk and a FULL YEAR of climbing sponsorship at ALL of our walls. 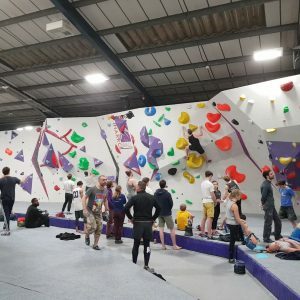 (VauxWall, HarroWall, CroyWall and RavensWall). Only open to unsponsored climbers. Our next HarroComp will be on 9th March. It’s going to be a big one so can the date in your diary!! 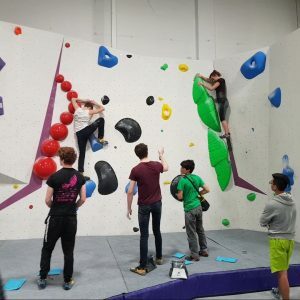 Our next VauxComp will be 6th February at VauxEast. Thanks to the setters: Rob Napier, Gav Symonds and Will Jackson & Yorkie. Massive thanks to the HarroTeam, without whom the comps wouldn’t be able to run and well done to everyone who turned up and competed!